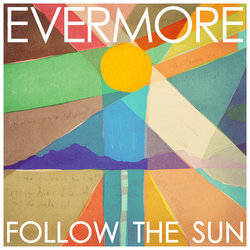 Now who remembers Evermore? Running, Light Surrounding You, Hey Boys and Girls, sound familiar? Well indeed they're back with a brand new single 'Follow The Sun'. Enough about the past let's talk about where they're heading, 'Follow the Sun' is big and anthemic, Jon Humes vocals supported by a marching band and a soft piano backdrop, add some upbeat synths and there you go - Evermore at its best. Warning - serious nostalgia imminent.